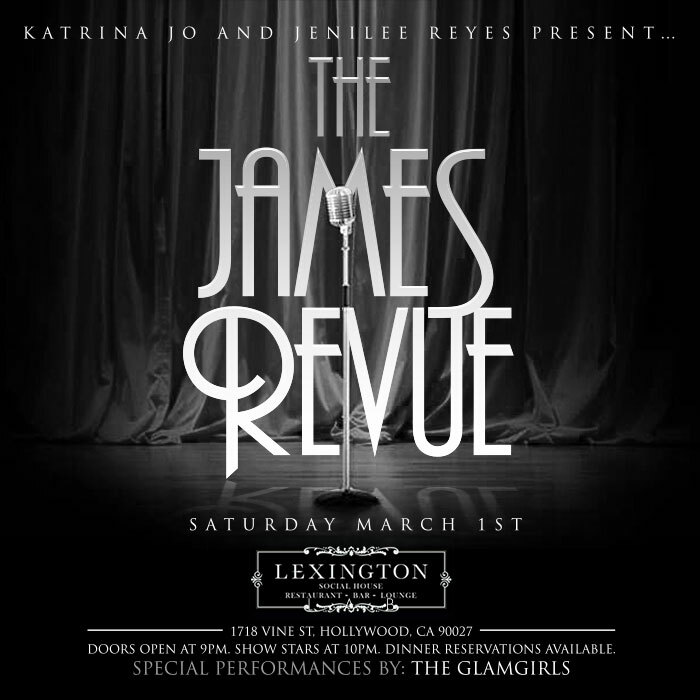 [LA] This Saturday March 1st, join us for #THEJAMESREVUE at Lexington Social House in Hollywood. I’m on double duties performing w/ Jenilee & GlamGirlsLA for a live jazz music & burlesque dance show.. then after I’ll be deejaying the rest of the night.. Doors at 9pm. Show starts 10pm. Come through!